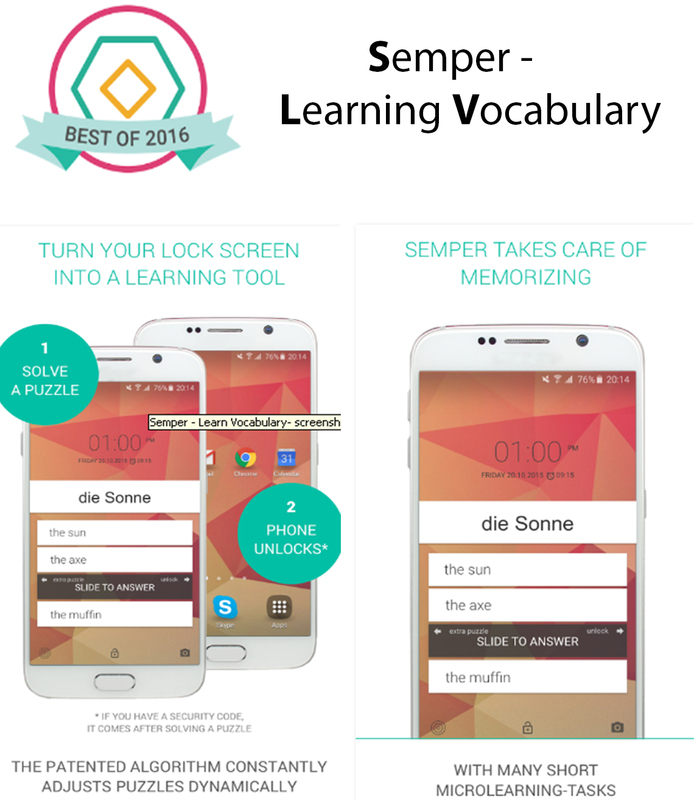 Home Android App of the Day Free Semper is Free for 24 hours. Semper is Free for 24 hours. Whether it's sport,cooking or even love,it seems as if there's always 'an app for that'. So what about learning a new language? Well,that's where the app of of the day comes in! In the free version, you can do unlimited practice modes. To keep solving puzzle when activating your lock screen or before apps load and maximize your learning, we offer a premium version after the trial phase.But as app of the day The add free version of "Semper",with access to all add-ons,drops in price today from $8 to $0.Grab it Before the Offer ends. The University of Potsdam proved that Semper’s microlearning method is much more efficient than conventional learning methods. Research shows that the most efficient way to learn is with small units spread out over the day. Whether you’re learning a new language, improving your math skills or honing your knowledge, Semper’s microlearning method is guaranteed to help reach your learning goals.